Benedictine College Preparatory was founded in 1911 with 29 students, under the name of Benedictine College, by a group of Benedictine monks from Belmont Abbey in North Carolina. Seeking to continue the work of their founder by establishing learning and culture, they came to Richmond to establish a Catholic high school for boys. They adopted the successful and prestigious military academy type model, which also meshed well with the monastic life of the monks. The order, discipline, and hierarchy of the military are very much analogous to the structures in the monastery and the Church. The aim was, and continues to be, to form young men in body and soul—to nourish a love of Truth, foster the life of virtue, and promote a healthy life. In 2009, the school board was dissolved and Headmaster John McGinty was ousted by a vote of 11 senior monks of Mary Mother of the Church Abbey. Fr. Gregory Gresko, OSB, the second-in-charge of the abbey, said that McGinty's contract was not renewed for financial reasons. The school, whose enrollment under McGinty had risen to 267, was under financial stress and running on a deficit. Gresko took on the position of temporary headmaster, saying that having a Benedictine in a leadership position after years of absence was "returning to our roots." On August 1, 2011, Benedictine High School changed its name to Benedictine College Preparatory "to reflect the school’s goal to become more academically rigorous." 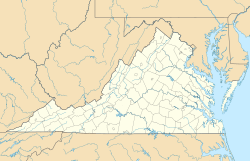 In April 2011, Benedictine announced that it was selling the school's historic campus on Sheppard Street in Richmond's Museum District to the Catholic Diocese of Richmond, and planned to move forward with plans to move the school to Goochland, Virginia. The sale included a buy-back option for the school in case the plans to move the school fell through. In the fall of the 2013-2014 semester, Benedictine College Preparatory moved to the Mary Mother of the Church Abbey location and the sale of the Sheppard Street campus was finalized. The campus was sold to the Catholic Diocese of Richmond, though Benedictine still plays home basketball games and hosts a number of events at the historic Memorial Gymnasium. The sale to the Diocese allowed for continued parking at the church during Sunday mass at the adjacently located St. Benedict's Parish, which was a continuation of a preexisting arrangement with the Parish. This also allowed for the renovation of the Mary Mother of the Church Abbey campus, which formerly served as home to St. John Vianney Seminary, for reinstalled educational use. Mary Mother of the Church Abbey is located in Goochland County and the school received backlash from some local residents and several alumni for the desire to sell the historic Sheppard Street campus and move so far from the urban campus that was the school's home for 100 years. The sale of the Shepard Street campus was estimated to be around $5.5 million and was used to renovate the Abbey campus, as well as to build additional facilities for the students at the new campus. All students at Benedictine participate in the school's military leadership program. The students are known as the Corps of Cadets, and this inspired the school's athletic nickname: the Cadets. From the school's founding in 1911 through the late 1960s, the school employed a private military institute model and was not affiliated with any branch of the United States Armed Forces. Beginning in the 1960s, Benedictine adopted the U.S. Army JROTC program, which continued at the school until 2016. The JROTC program at Benedictine held the highest rating given by the U.S. Army – Honor Unit with Distinction – which allowed the school to nominate directly a student for appointment to a service academy or for an ROTC scholarship. Many Cadets have used this honor and attended the service academies and other military colleges (most notably Virginia Military Institute) to further their education. In 2016, Benedictine discontinued longstanding relationship with the U.S. Army JROTC program and returned to the private military institute model, however it is still modeled after the U.S Army. The military leadership program at Benedictine offers students the opportunity to participate in a number of activities including the Drill Team, Rifle Team, and the Pipe and Drum Corps, as well as the opportunity to hold leadership positions as cadet non-commissioned officers and cadet officers throughout the Corps. Benedictine also offers a number of other clubs and organizations including a "Battle of the Brains" Quiz Bowl team, the National Honor Society, Model General Assembly, Model Judiciary, Student Council, Spanish Club, Latin Club, Key Club, Emmaus Group, RAMPS Community Service Club, Rugby Club, Fishing Club, and the Cadet Choir. The school also has a joint Drama Club with its sister school, St. Gertrude High School, hosts a number of military balls throughout the year, and puts on an annual Benedictine Art Show that showcases works by current Cadets. The highly successful Benedictine athletic program is a great source of pride for Cadets, families, and alumni. Each Cadet typically participates in one or more sport each year, though the school does not require participation in athletics. Benedictine sporting events are heavily attended events by students, families, alumni, and sports fans throughout the Richmond area. The basketball team is perhaps the best known athletic program, and one of the most storied high school programs in Virginia. The late Virginia basketball legend Warren Rutledge was head coach of the Cadets for 43 years and amassed 949 total wins, making him the winningest high school coach in Virginia and eleventh in the nation. Rutledge's teams won numerous state championships, and the winning tradition of Benedictine Basketball has continued under subsequent head coaches Bruce Croxton, Sean McAloon, Ryan Marable, and Robert Churchwell III. The Benedictine basketball program has won an impressive number of championships over the years including 25 Virginia State Catholic titles from 1959, 1961, 1964, 1965, 1967, 1968, 1970 through 1985, 1994, 1999, 2000 and 2003. The Cadets also hold five VISAA State Championships for Boys' Basketball for the 2003, 2007, 2008, 2011, and 2013 seasons. Since the early 1950s the Cadets have played home games on "Coach Rut Court" in the historic Memorial Gymnasium on the now former Benedictine campus, and are known for having a strong home court advantage as the famously rowdy "Cadets Only" cheering section tends to make games very difficult for visiting teams. For three seasons, from 1951 to 1954, Benedictine's Memorial Gymnasium served as host to the University of Richmond's basketball team, before the opening of Richmond Arena. Also, since 1966 Benedictine has hosted an annual holiday boys' basketball tournament, the Benedictine Capital City Classic, which has become one of the premier basketball tournaments on the East Coast and has featured some of the finest high school basketball programs from around the country and several international teams. The football program also has a history of winning and won the VISAA Division III Championship in 2000 and 2001 and the VISAA Division I Championship in the 2014-2015 season and the 2015-2016 season. Head Coach Greg Lilly has built the Cadets football program into a consistent winner and one of the finest in the Richmond area in terms of the number of players receiving offers to play at the Division I collegiate level. The Cadets football team plays its home games at Bobby Ross Stadium which is located at the Mary Mother of the Church Abbey campus in front of the main academic building and chapel. In recent years the Benedictine wrestling program has also made a name for itself in Virginia and on the national stage as Head Coach Ryan Hall has led the Cadets to four consecutive VISAA State Championships in 2014, 2015, 2016, and 2017. This dominant winning culture has led to the Cadets superseding their top rivals, the St. Christopher's Saints, as the premier wrestling program in the Richmond metropolitan area and over all of Virginia independent schools. Benedictine also fields competitive teams in lacrosse, golf, tennis, indoor & outdoor track & field, rugby, swimming, and fishing. Rather than do traditional fundraising methods, each year Benedictine hosts an athletic event known as the Benedictine Boxing Smoker which features several bouts of collegiate boxing and has included teams such as the Virginia Military Institute, Penn State, University of Maryland, Georgetown University, the University of North Carolina, East Carolina University, and Wake Forest University, among others. Also notably, ex professional WWE wrestler Rick "Nature Boy" Flair had a match at the boxing smoker. Over the years the school has developed an impressive number of Division I athletes who have succeeded in achieving success at the collegiate and professional levels. Prominent graduates of the Benedictine athletic program include 2016 Olympic Gold Medalist swimmer Townley Haas, legendary college and NFL Head Coach Bobby Ross, former NBA Head Coach John Kuester, former NFL offensive lineman Patrick Estes, NFL defensive lineman Nigel Williams, NBA forward Ed Davis, NBA guard Michael Gbinije, and many others. As one of the longest-standing rivalries among Virginia's independent schools, the Cadets and Saints have been challenging each other in athletic contests for over 100 years. As the Richmond area's only all-male schools, the two have participated in a cross-town rivalry in all sports with the two schools often meeting in tough contests in basketball, football, wrestling, and baseball. For many students and alumni, the contests against St. Christopher's are the most meaningful and both fan bases look forward to these matchups each season. While it has become overly heated in certain years, even occasionally leading to the schools to take short breaks from playing each other, the rivalry is typically an example of excellent athletic competition and sportsmanship. Steve Bannon, the former White House Chief Strategist in the Trump administration. Townley Haas, American swimmer, who won gold during the 4 × 200 metre freestyle at the 2016 Rio Olympics. Bobby Ross, former college and NFL coach. Joseph R. Swedish, CEO of Anthem Inc.
Ed Davis, current professional basketball player for the Portland Trail Blazers. Clelin Ferrell, current college football player for the Clemson Tigers, and projected first round draft pick in the NFL. Michael Gbinije, current professional basketball player, formerly with the Detroit Pistons. Additional aerial view of football field and campus in Goochland. Entrance at the Goochland campus. The Goochland campus main building. The bell tower at the former Richmond campus. ^ "West of Boulevard National Register Nomination" (PDF). Virginia Department of Historic Resources. Retrieved May 24, 2011. ^ a b "Monks oust Benedictine headmaster". Richmond Times-Dispatch. Retrieved January 10, 2016. ^ "1968 Benedictine High School Yearbook". www.classmates.com. Retrieved January 10, 2016. ^ Bruck, Connie (May 1, 2017). "How Hollywood Remembers Steve Bannon". The New Yorker. Retrieved April 24, 2017. ^ Forster, Mike. "From Cadet to CEO". Benedictine College Preparatory. Retrieved August 4, 2017. ^ "BLILEY, Thomas Jerome, Jr. - Biographical Information". bioguide.congress.gov. Retrieved October 21, 2017. ^ "John Kuester, Los Angeles Lakers, Advance Scout - RealGM". basketball.realgm.com. Retrieved October 21, 2017. ^ "Mark Crow Bio | THE OFFICIAL SITE OF THE ATLANTA HAWKS". www.nba.com. Retrieved October 21, 2017. ^ Wilson, Ryan (March 26, 2019). "Clelin Ferrell NFL Draft profile: Everything to know about measurements, strengths, team fits". CBS Sports. Wikimedia Commons has media related to Benedictine High School (Richmond, Virginia).